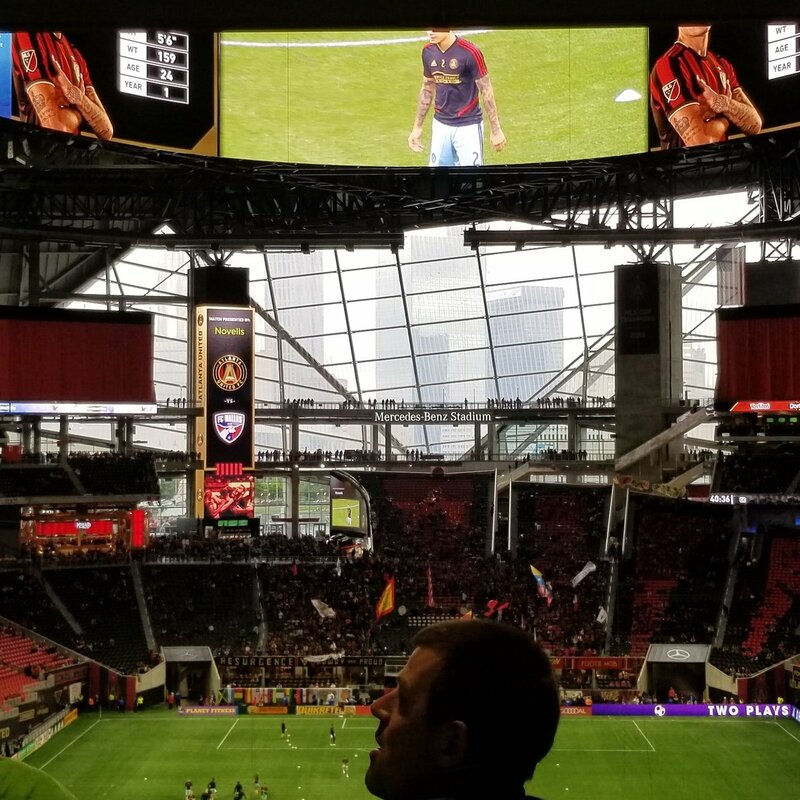 I know that I have a reputation of being hard to please when it comes to the Soccer Analytics panel, so I’ll just come out and say what I thought of today’s event. Not only that, this was the best Soccer Analytics panel in the history of the SSAC. I know that for some, that statement is a low bar, but objectively, it was the kind of session that I always wanted to see — a lively, specific, opinionated conversation between the panelists about the uses of analytics in football and lessons learned from the initial novelty period. The Soccer Analytics panel (L-R): Hendrik Almstadt, Daniel Stenz, Padraig Smith, Ted Knutson, and moderator Andrew Wiebe. Credit: MIT Sloan Sports Analytics Conference. 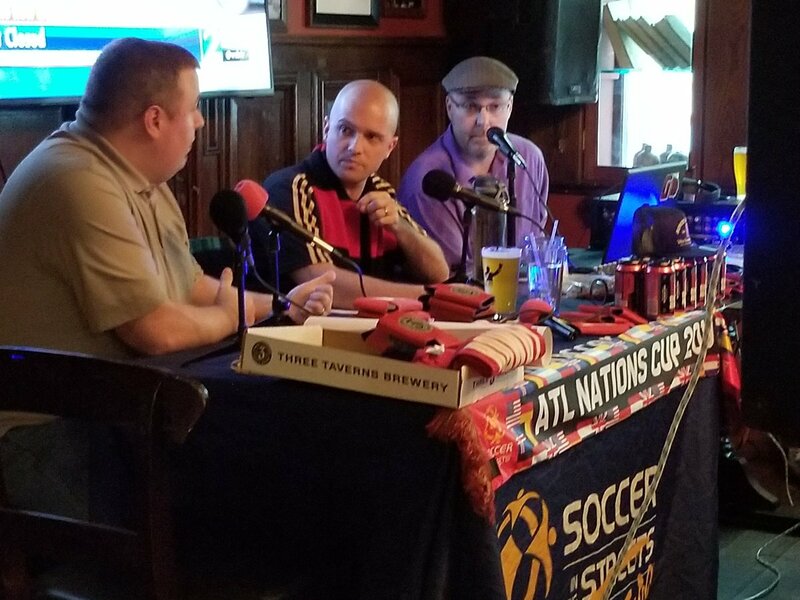 Returning to lead the discussions was Andrew Wiebe of MLSSoccer.com, and on the panel were Ted Knutson (StatsBomb), Daniel Stenz (Hungarian National Team), Padraig Smith (Colorado Rapids), and Hendrik Almstadt (PGA Tour, ex-Arsenal and -Aston Villa). You can read my paraphrased summary of the session at this link. The relationship between coaches and analysts. There seems to be an assumed false dichotomy in many conversations about the role of traditional “football people” and the incoming generation of statistics-informed analysts. Ted Knutson touched on this issue with his answer to the opening question of the panel. There is more data available for competitions down to just above semi-pro level (at least in English football), but the person looking at and analyzing the data matters. The ideal is to have a “football person” formulate analysis questions that are relevant to the objectives of the club, and then a “nerd” proficient in data and statistical modeling to translate that question into an analytics problem and then report the results in an understandable way. The success of the relationship depends greatly on mutual understanding and the credibility that each party has to offer. Here Knutson and Smith agreed that the biggest thing that an analytics department can do is identify high-quality talent consistently. StatDNA’s role in Arsenal decision-making. StatDNA was discussed a lot during the panel, which is understandable as they are the highest-profile example of a football analytics firm acquired by a football club. Almstadt was formerly associated with Arsenal so he was more familiar with their role. The value of StatDNA is several-fold: they can provide data to their internal customer that is specific to its needs, they are a professional analytics firm that is entirely in-house and has only one customer, and because they only have one customer, they can afford to think through research on a longer timescale. The value of training data over match data. Weibe asked what was considered cutting edge in the ability to combine data sets, and Knutson responded that tracking and event data were important for match and training situations. There are many more training sessions than matches, so it should be possible to identify significant contributions or tendencies in players or plays. “It takes about seven years of match data to figure out where someone is a good shot-taker. With training data all I need is a year,” he said. Stenz responded that training data is still an apples-to-oranges comparison. The need to focus on winning incremental gains. It appeared that Knutson spoke with a certain level of a frustration about clubs who were unwilling to consider analytics in their team strategies because the gains in performance were “not significant enough.” The kind of mentality leads to hunts for a statistical Holy Grail when in reality a sequence of small performance gains add up to significant changes in overall performance. It is better, according to Knutson, for clubs to identify how they play and where on the field they are stronger, and exploit that advantage as ruthlessly as possible. In reality, way too much is left on the table when clubs staffs are devising playing strategies. You can read more about the panel session on the liveblog, and I believe the conversation will be on YouTube shortly. Let’s have more soccer panelists giving real opinions, please!